Pastor of Ship of Zion, founded in 2001 by Him and his wife (Jacqueline) in the inner city of Raleigh, NC. He attended Shaw University and Trinity College and a is graduate of New Life Community School and Bible Institution with a Degree in Religion. Pastor Chris has traveled to many cities, such as: Chicago, Philadelphia, Memphis, Atlanta and New Orleans, studying the difference in socio- economical diversities, bringing back resources and developing programs for our area of ministry. He has also traveled to various countries in Africa (visiting Mandela’s Prison) teaching the Gospel message, touring Israel and learning the culture of how people connect and interact within the context of their society. He was a National Appointed Missionary with the Assembly of God for 9 years. He currently serves as Senior Pastor for Ship of Zion Church and oversees The Ship Community Outreach, a non-profit organization which includes the Bread of Life Ministry which serves 4000 families a month with food, The Galley grocery store in an area designated as a food desert and The Ship Yard: a weight lifting facility which provides weightlifting opportunities and camps for young people. Jeff approaches ministry from a coaching grid, having led 4 State Championship High School Teams. Jeff served in 3 different Churches (SC, FL & NC) as a Men’s Pastor from 1985 – 2013. He founded MVP (Men of Valor & Prayer) in 2005, which involved 500+ men in Charlotte, N. C.
He served as the National Field Director for Man in the Mirror for 4 years, coaching 100+ Field Staff. He launched “The Intentional Way with Coach K” in 2018, expanding on his experience from speaking to men in 42 States and building on ministry expertise from consulting with 1000+ churches. He greatly enjoys Clemson Tiger football, Auto Racing, Hiking Trails & iPhone Photography. Coach K attended 22 Promise Keeper Conferences from 1995 – 2008, including joining 1.4 million men on the National Mall in Washington for “Stand in the Gap” on October 4, 1997. He has traveled to speak in International Men’s Conferences in 7 Countries (Mexico, Guatemala, Peru, Hungary, Croatia, Serbia & Curacao) since 2005. He has led No Man Left Behind Training weekends from MIM in AL, AZ, FL, MN, NC, SC & TN and assisted with others in 10+ States. Baptism Sunday! Information meeting Sunday, March 3rd at 9 am! Meet at Bojangles beside the church at 9 am for breakfast! Afterward lets have fun at Drake’s Landing! Merry Christmas - No Wed. Night Service! Enjoy time with your families - No Wednesday Night Service! You do not want to miss Eddie James & his team! The worship, testimonies, and time of ministry are powerful! Come expecting to receive! 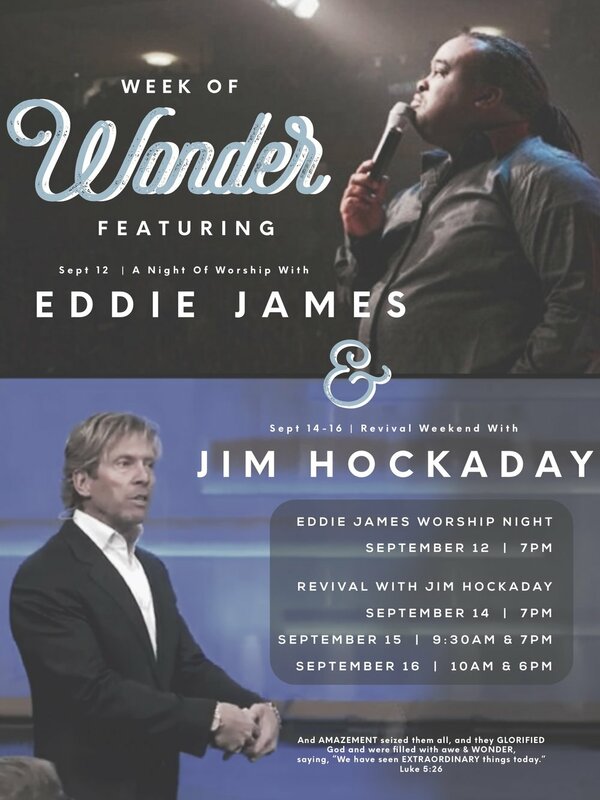 YOU DO NOT WANT TO MISS THIS LIFE-ALTERING REVIVAL WITH JIM HOCKADAY! Dr. Paul Ai was born into a strong Buddhist family in Vietnam. At a young age, he was sent to a pagoda to train to become a Buddhist monk. He became one of the top monks in his town who everyone looked up to. As he grew up, he became very frustrated and realized there was no hope or power in the doctrines of Buddhism. He was disappointed, so he studied black magic and became a witch doctor and rose to the top in witchcraft. He served 3,366 gods who gave him the power to perform many miracles. He was bound in their strongholds. He became disappointed in the devil's power when a Christian crusade came to his town in 1970. Dr. Paul was determined to stop and to shut down the Christian meetings with the power of his 3,366 gods, but at the end of the crusade, he found out that they were no match for the God of the missionaries. Although he lost the battle in the spiritual realm, he won in Jesus Christ. He found all the answers he was searching for in life through the Holy Bible then. So Dr. Paul gave his life to the Lord Jesus Christ at the end of the crusade and has been serving Him since. Dr. Paul has faced many persecutions throughout his life since he accepted Jesus Christ as his Lord and Savior. He was disowned by his family and rejected by his community. He was also persecuted by the local Vietnamese government for believing in Jesus Christ and for sharing the gospel as he only shared his testimony to others of how God changed his life. He served over ten and a half years in Vietnamese communist prisons and forced labor camps for his belief in the gospel. But in all those dark places, God always showed His faithfulness! Dr. Paul studied the Bible, went to Bible schools, and later became a pastor and church planter. He planted hundreds of underground churches under communist watch. He was the founder and the first general superintendent of the Assemblies of God of Vietnam for over 25 years, who led over 10,000 people under his leadership. He also mentored thousands of pastors, church planters, and cell leaders under his leadership and planted hundreds of churches all over the country, especially in those hard to reach places, while in Vietnam. Dr. Paul received his BA in Ministries, his MA in Theology and another in Counseling, his Doctorate in Theology, and his Ph.D. in Education Leadership from different seminaries, colleges, and universities in the U.S. and overseas. In 1999, Dr. Paul Ai was arrested during a conference while training top underground pastors and church planters in North Vietnam. The communist government was keen to execute him, however, God used the United Nations and the United States Religious Freedom leaders to intervene. The Vietnamese government decided to deport Dr. Paul out of his own country like a criminal, as he cannot return home to Vietnam after deportation, just because of his belief in the gospel and sharing his testimony with others. Through the Holy Spirit, a church in the United States sponsored him and his family to Hampton, Virginia where they reside. Dr. Paul Ai continues to serve God and shares the gospel in the United States and around the world since then. Dr. Paul is now the founder and president of PAUL AI MINISTRIES - Vietnamese Outreach International (VOI) with over 40 years of experience in leadership and teaching. He is currently serving in the Kingdom as an apostle and evangelist around the world with his lovely wife, Rev. Ruth Ai. They spend the majority of their time overseas reaching out to the Vietnamese community as well as to the local communities around the world in a vision that all people will get a chance to hear the good news of Jesus Christ. They hosted many crusades each year worldwide, planted churches and Bible schools in many countries in South-east Asia, and started a few orphanages through the partnership of churches and individuals of PAUL AI MINISTRIES (VOI). They spoke and taught at many churches and schools in the United States as well as around the world. & of course, C A N D Y ! ! ! ! Bring your kids, family, friends, neighbors, random person you met in Wal-Mart! Its time to have some fun! Give me a T! Give me an H! Give me an A! Give me a N K S! Whats that spell?! T H A N K S!!! 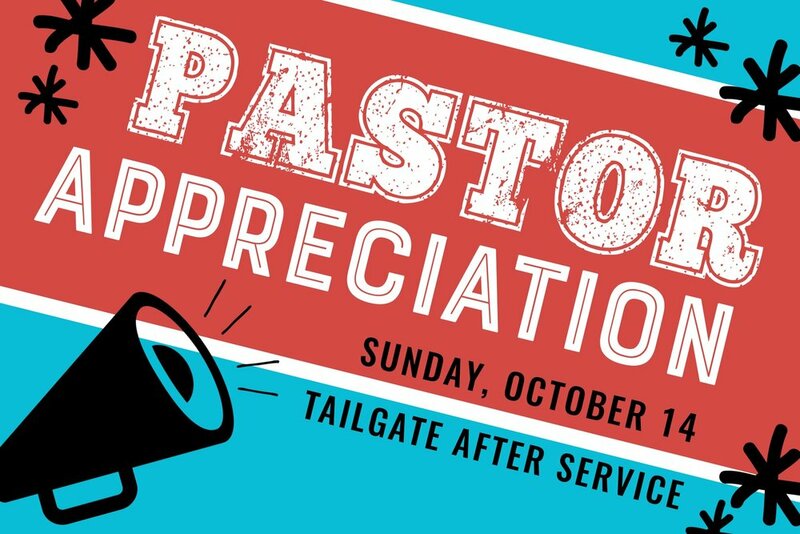 Join us Sunday, Oct 14th for our Pastor Appreciation PEP RALLY & TAILGATE after service! Its the time to show Pastor Morgan & Pastor Sherry just how much we love and appreciate them! Join us for our week of Wonder at Cornerstone. Events kick off with a night of worship with Eddie James! 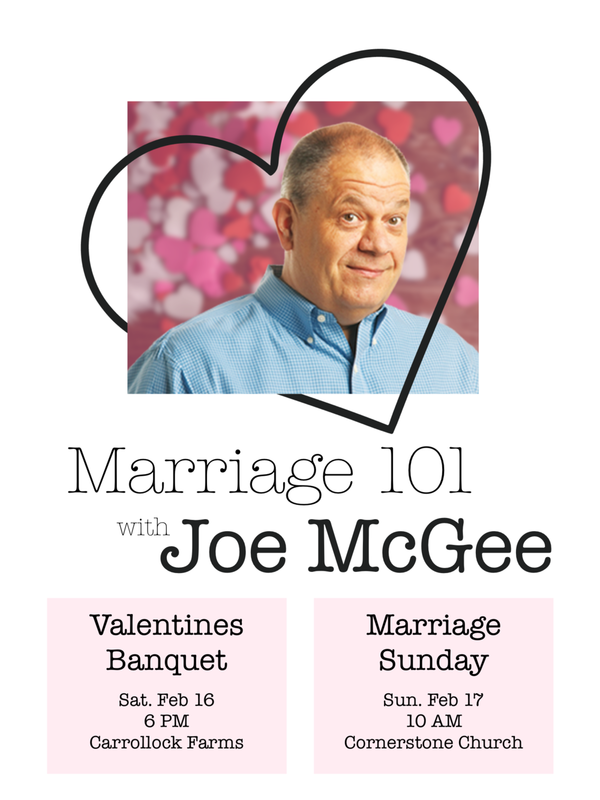 Followed by a weekend revival with Jim Hockaday.